We’d like your help with this award. In honor of our long time and founding co-chair, Marie Zorniak, who passed away unexpectedly last June, we’re starting a new award, the Marie Zorniak: Heritage from the Heart Award. She was one of the driving forces of our Fair, and her special passion as an educator was to help kids who might not have seen their own potential. We’d like to give the award to a a study who displays enthusiasm for Canadian Heritage and History; who has a personal connection to or a passion for their topic; who may have overcome adversity or challenges to create an exemplary project; and who takes a piece of Canada’s story and makes it their own. Since an award like this is hard for us to judge, we’d appreciate you nominating a student for this award when you register them for the Fair. Who do you think had a special connection with their project? Who might’ve had a harder time creating it for any of a variety of reasons, yet somehow overcame the obstacles and got the job done? Let us know that student’s story when you set out to register. Are you hunting for some Heritage Fair topic ideas for your students, or for yourself? Here’s a few ideas. The Selkirk Settlers. Those folks who came to the Red River area 200 years ago helped stimulate the development of much of what has become Winnipeg today, both good and bad. There’s stories of intrigue, treachery, conflict, loyalty, and triumph all built into this period of settlement. And for those of you who are competitive, we have an award specifically aimed at this time period. How about Inuit Art? Right here in town we have an amazing collection of Inuit art at the Winnipeg Art Gallery. There’s “a story living in every piece of art” and that means that the WAG is a great place to learn about Inuit history and heritage. What is important to the artists and the communities they live in? How do they understand the world? This year marks the 100th anniversary of the Winnipeg General Strike. While labor strife and protest might be common in some parts of the world, it’s not out here. What was different about Winnipeg in 1919 that set up the conditions needed for this kind of conflict? Could it happen again? The Manitoba Teachers Society turns 100 this year. Celebrate teaching in Manitoba by looking back at the days of the one room school house. Have you participated in the Red River Heritage Fair for at least two years? Do have a wild and crazy out of province PD opportunity that you want to take advantage of? 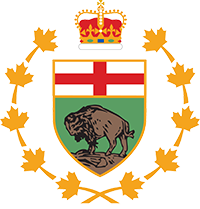 The Red River Heritage Fair, with the generous support of the Winnipeg Foundation, has arranged a bursary for teachers working with our Fair and want to upgrade out of province. Canada’s History is handling the paperwork and you can apply over here. We highly recommend the Historical Thinking Summer Institute, to be held in Ottawa in July, as one out of province PD worth checking out. Check out the poster for more details. The Aboriginal Circle of Educators is once again sponsoring an award for projects from an aboriginal perspective. Since this is the UN Year of Indigenous Languages this would an especially interesting time to do a project on an indigenous topic. Thanks to ACE for their longtime support. So where do you come from? 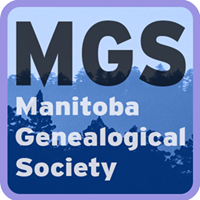 This next award comes from the Manitoba Genealogical Society. 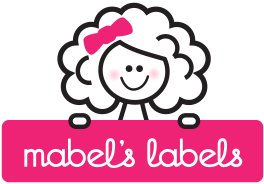 It’s geared toward kids who research their own ancestors, or seriously delve into discovering more about their family tree. This sounds like a great excuse to sit down with grandparents, aunts and uncles and learn a bit of family history from the people who lived it. Oral history is a great tool to explore your own past. Check out the Society’s website. They have some interesting resources posted.